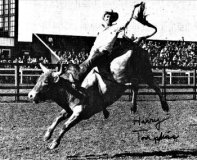 Larry was the first (to my estimation) RCA level Indian Bull Rider. 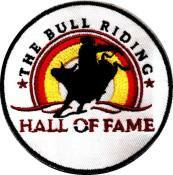 He qualified to the NFR alongside Jim Shoulders and George Paul in 1961 0r 64. He won Calgary in 1961. He was still riding bulls in 1988. He qualified to the Indian National Finals in the 70's in ABQ,NM. He's about 80+ yrs old now and barely gets around in Omak, WA. His hometown. He is a member of the Colville Indian Tribe. I don't know what the qualification is for being mentioned or not but I just thought he might be considered. You for being there for the ride of my life! Rocking! That was the greatest time of my life! May the great spirit be with you always! 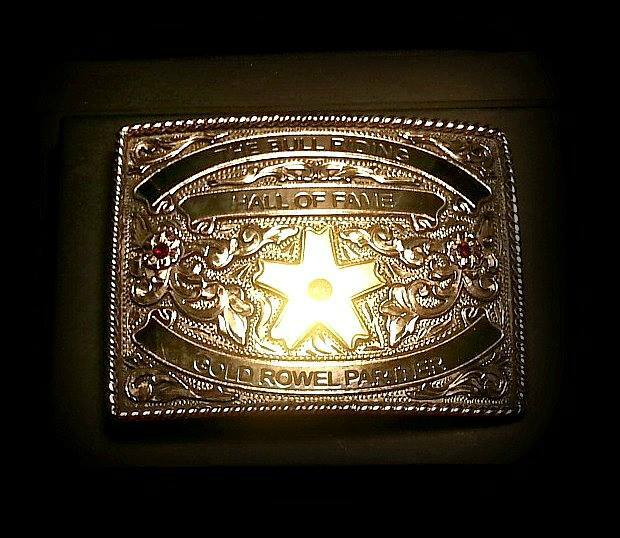 Larry was one of the best friends I had on the rodeo circuit. He was always there to encourage me. One time I drew Rossers bull Wooly Burger. He was a bucker. Larry slapped me so hard just before I nodded my face I didn't dare fall off. Larry was my buddy. I will always have fond memories of him. Please Note on June 4, 2014. Larry "Little Beaver" Condon had died from a freak accident. A logging truck at the intersection of 155 Hwy. took his life. He will surely be missed from all his cowboy fans.